I’ve written in the past about the commoditizing banking system. I mean, who really goes to a retail bank location anymore for most day-to-day needs? You can get cash at an ATM or “cash back” via debit card at the grocery store. You can deposit checks via a phone app. Some technology innovations take time, but gradually, they happen and become inevitable. Price points collapse, friction is removed and a whole new digital system takes over. It happened in music (iTunes, Napster, etc. ), radio (Pandora, Spotify), flea markets (eBay), commerce (Amazon), and it’s now happening in banking. 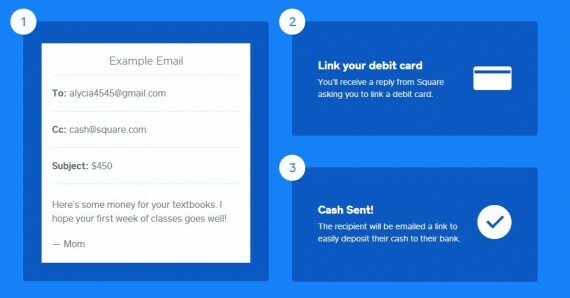 Of note: Looks like Square is paying $0.10 per email/money transfer. Of course the long term assumption is some day Square charges fee, rather than paying fee. But meantime, that is one super capital-intensive startup. Would you fund that at early stage? Btw, its the same story with Square’s core business — they are subsidizing merchant fee transaction processing fees at huge expense to themselves, to wage a price war with incumbent transaction processing platforms. Not really a technology innovation play, more of a massive tonage of capital play? Hi Steve, thanks for the thoughtful comments. I think you’re right. Some start-ups are absorbing transfer or interchange fees to essentially “buy” their way into the market. Amazon did this in e-commerce for a long time, making money on gross margin but not breaking even on net income; they pursued scale and eventually developed favorable AR/AP terms so that they are now operating cash flow positive and did so by cutting great terms with vendors. It can work. But, it takes a lot of money. We’re not investors in Square and nor am I vouching for their business strategy. But, as a consumer, I love that Square isn’t charging me for inter-party payments. I love that this price umbrella is collapsing, and you’re seeing it in more parts of the economy, whether B2C (OTT vidoe like a Netflix vs. cable channels) or B2B (open source software in certain categories). I think these price wars are interesting to watch.